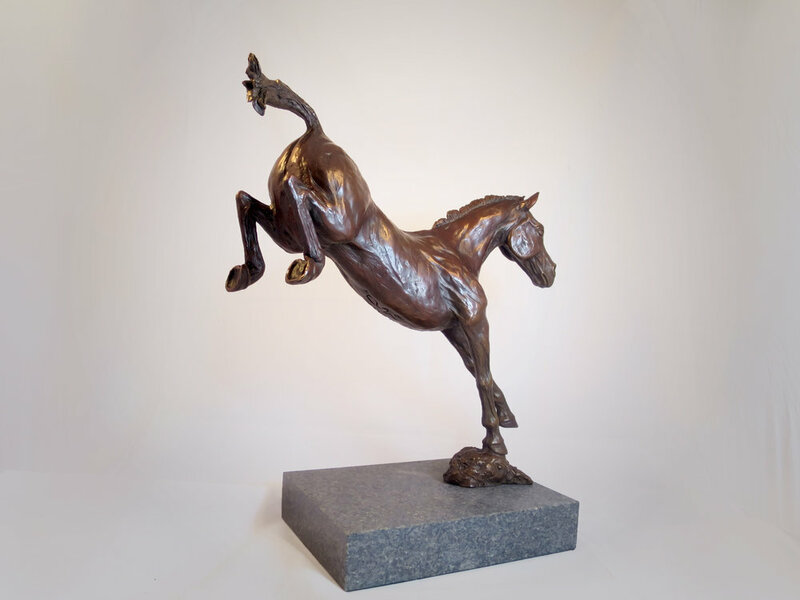 Striking bronze sculpture of event horse “Little Leo”. 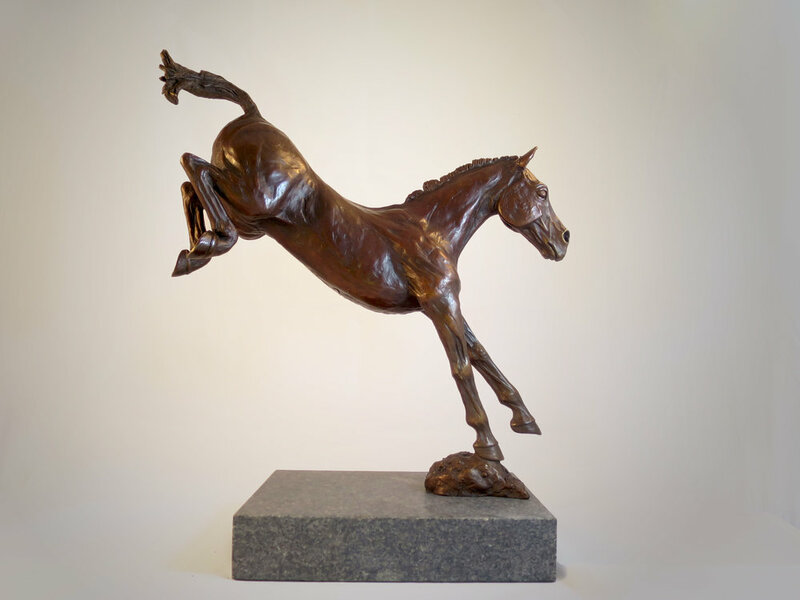 Finished in a rich brown patina mounted on a beautiful Granite Plinth. 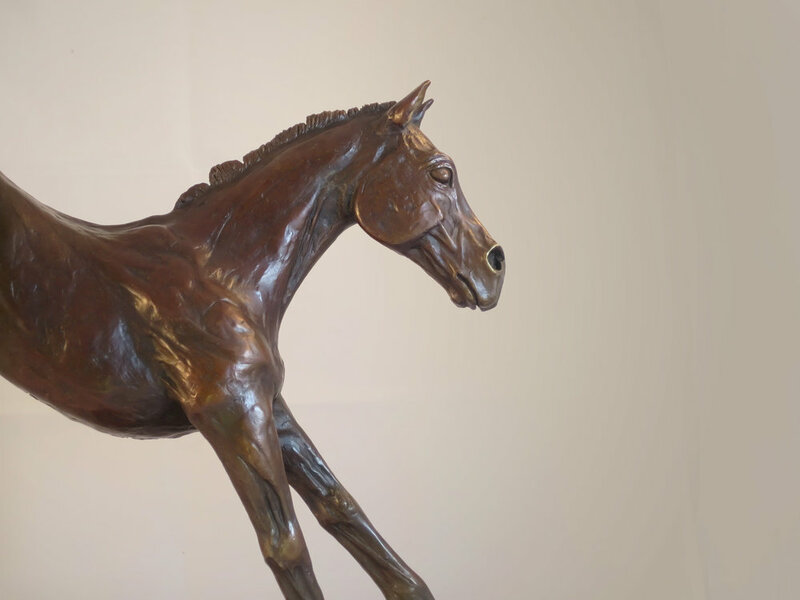 This stunning sculpture stands at 16 inch’s high and would make a great center piece to any home.